Agents with the Drug Enforcement Administration have raided the offices and home of Dr. Forest Tennant, a prominent California pain physician, confiscating patient records, appointment books and financial documents. In a lengthy search warrant, the DEA alleges that Tennant prescribed such high doses of opioids and other medication that his patients must be selling them. It also alleges that Tennant took financial kickbacks from Insys Therapeutics, a controversial Arizona drug maker that is under federal investigation. An affidavit by a DEA investigator makes no mention of a patient overdosing or being harmed in any way while under Tennant's care. “It’s very lengthy and it goes into things in my past which are totally irrelevant but are obviously designed to smear me and make me look like a bad person. I see what they’re doing,” Tennant told PNN. Tennant, who has not been charged with a crime, believes Tuesday's raid is part of a broader effort to smear not only his reputation, but to discredit and intimidate other doctors who prescribe opioids to pain patients. “They’re not just going after me, they’re going after patients," said Tennant. “I think the country better understand what they’re doing here. They’re saying that regulations don’t count, standards don’t count, and they’ll decide who can get drugs and how much. Also named in the search warrant is United Pharmacy of Los Angeles and pharmacist Farid Pourmorady of Beverly Hills, the owner of United. Court documents indicate the DEA's investigation began in 2015 and targets a "drug trafficking organization" (DTO) that includes United and "multiple physicians whose prescriptions are filled at United, focusing in particular on Tennant." "The crimes perpetrated by the DTO include the sale of powerful prescription narcotics such as oxycodone and fentanyl, along with other dangerous and addictive controlled drugs often sought in combination with narcotics, based on invalid prescriptions issued by practitioners including Tennant," the documents say. "United has been submitting millions of dollars in fraudulent Medicare prescription drug claims, namely, claims for the cost of filling invalid narcotic prescriptions, including those issued by Tennant." The search warrant identifies about $2 million in prescriptions written by Tennant that were filled at United for just five patients, three of whom live out-of-state. Tennant told PNN in a phone interview that the allegations were bizarre. "I have no financial relationship with anybody. My clinic is fundamentally almost a charity," he said. Tennant is a revered figure in the pain community because of his willingness to see patients with intractable chronic pain who are unable to find effective treatment elsewhere or have been abandoned by their doctors. 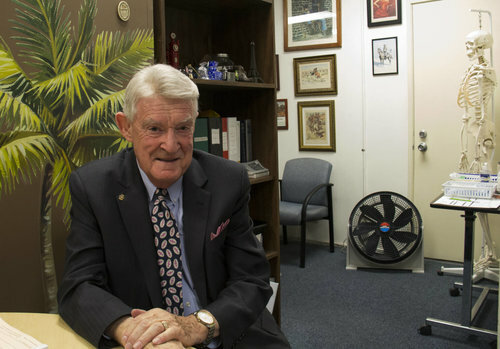 At 76, Tennant could have retired years ago, but regularly sees about 120 patients at his modest pain clinic in West Covina, a Los Angeles suburb. Many patients travel from out-of-state to see him, and some are in palliative care and expected to die within a year. Tennant, along with his wife and office manager, Miriam, jokingly refers to their clinic as a “mom and pop” operation, although in actuality he practices on the frontlines of pain management and has developed treatment protocols for difficult and incurable conditions such as adhesive arachnoiditis, Ehlers-Danlos syndrome and Reflex Sympathetic Dystrophy (RSD). Those treatments sometimes require high doses of opioid pain medication, but they also include hormone replacement, anti-inflammatory drugs and other therapies that help patients reduce their use of opioids. Tennant says he carefully screens his patients and follows all regulations. He has been an outspoken critic of efforts to limit opioid prescribing and recently appeared on a Las Vegas TV station saying the federal government doesn't care if pain patients suffer and die. “I understand what (DEA is) after. They figure if they go after the big guy, then no one will prescribe,” Tennant told PNN. “If they’re going to hurt me, no doctor is going to be willing to prescribe or do anything. That’s what they’re attempting to do. They’re attempting to neutralize me if they can. And I think there needs to be an outcry. "The time has come. Is this country going to treat pain patients or not? Are they going to let people die in pain or are they not?" Ironically, the raid on Tennant’s offices and home occurred the day after he testified in Montana as a defense witness in the trial of another doctor accused of negligent homicide in the overdoses of two patients. The Tennants arrived home Tuesday night to find the front door to their home had been kicked in by DEA investigators. “It seems like a coincidence, doesn’t it?” Tennant said. Tennant acknowledges getting about $126,000 from Insys Therapeutics, payments that were primarily for speaking at events sponsored by the company. 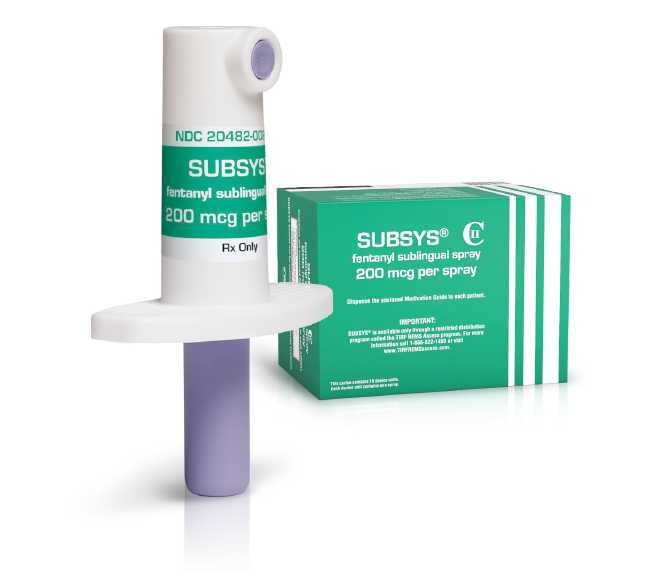 Insys makes an oral spray called Subsys that contains fentanyl, a potent synthetic opioid. Subsys is only approved for the treatment of cancer pain, but Insys aggressively marketed Subsys to have doctors prescribe it “off label” to treat other pain conditions, allegedly resulting in hundreds of overdose deaths. Several company officials, including Insys’ billionaire founder, have been indicted on federal charges that they bribed doctors with kickbacks and lucrative speaking fees to get them to promote Subsys. “What money we did make, we put in the clinic and used it to support the patients,” he said. Tennant says he can still operate his clinic, but has been informed by the DEA that his charts and patient records will not be returned directly to him. Tennant is asking all of his patients to contact the DEA and request a copy of their medical records so that he can continue treating them. The DEA's contention that Tennant's patients are selling their opioid medication is preposterous, according to 64-year old Gary Snook, a Montana man who lives with adhesive arachnoiditis, a painful inflammation in his spinal nerves. “The last thing I’m going to do is sell my medication,” says Snook, who was on an extremely high dose of opioid medication before he started seeing Tennant. “Dr. Tennant has me on such a low dose that I’m just barely getting through the month anyway. I don’t have any to sell. Snook has a genetic condition that makes him a “high metabolizer” of opioids – meaning he has to take a high dose to get any kind of pain relief. His current daily dose is still about three times more than the highest amount recommended by the CDC. “I’m not selling mine. I’m just taking it to survive because it’s the only thing that works for my pain. I’ve tried all the modalities and unfortunately this is the only thing that works,” Snook said.